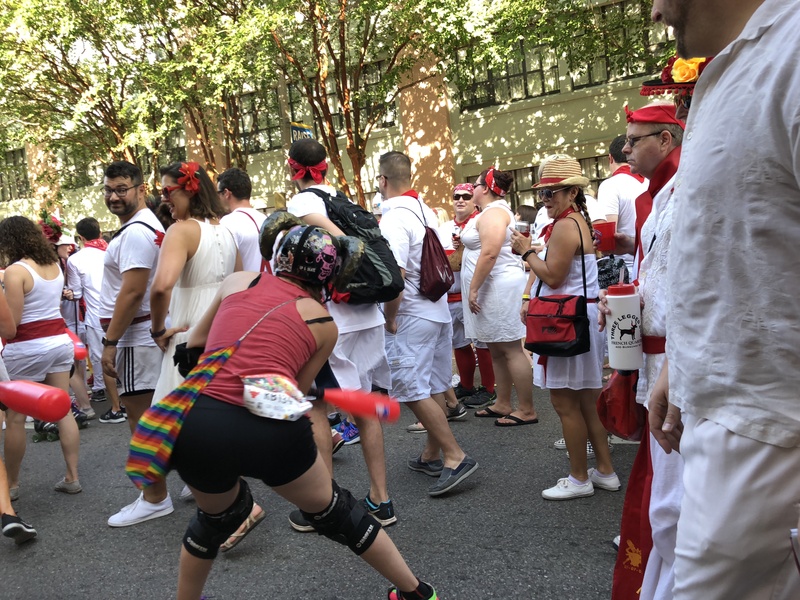 We stumbled out of bed and staggered into the streets to clumsily pretend to avoid the barrage of “bulls” on roller skates. 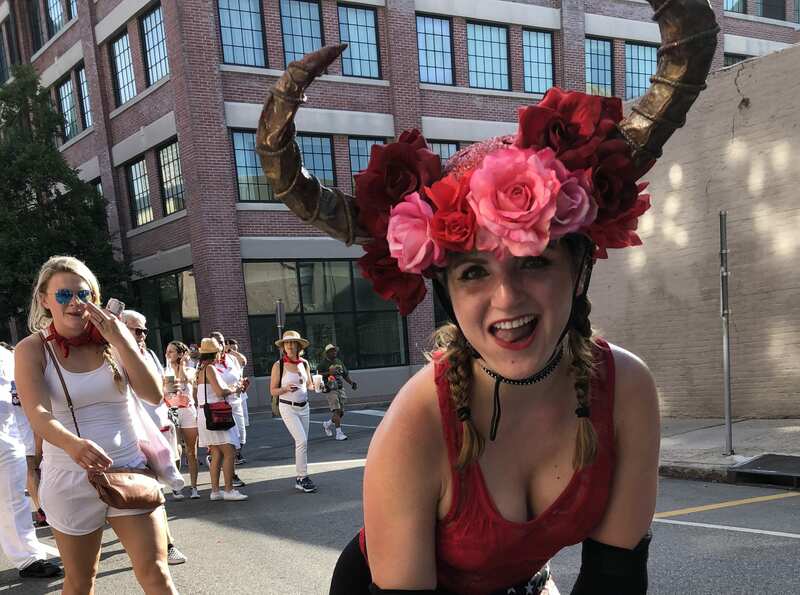 The annual San Fermin in Nueva Orleans kicked off early in the streets of Warehouse District for its 12th year. 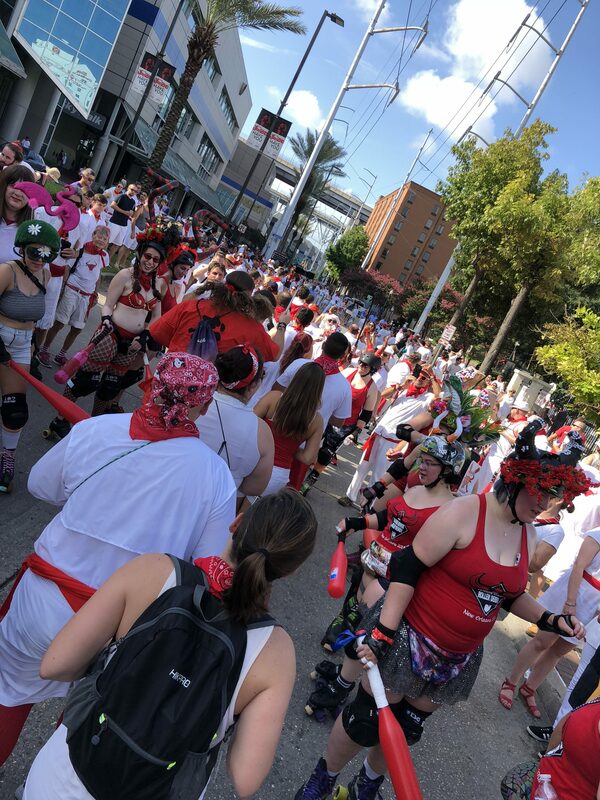 Since the first dash, the crowds have grown into a huge river of white and splashes of red that fill the streets. It’s hardly a run that is meant to mirror the annual bull run in Pamplona, Spain. 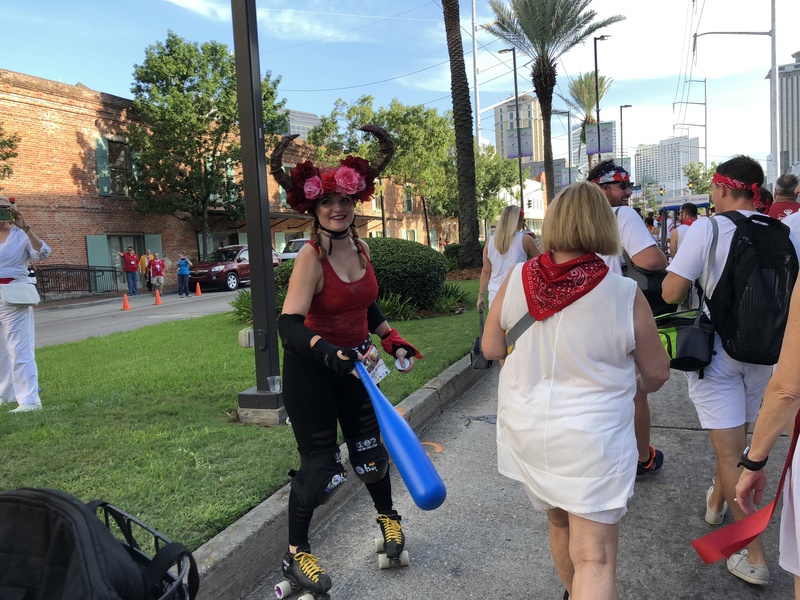 Attendees in New Orleans walked with beer and sangria in hand as the Big Easy Rollergirls gored, well, spanked, us with whiffle ball bats. Despite scorching, sweat-inducing temperatures, and the early start time, people flooded the area. We and other “runners” found shade behind beer vendors and under tents or in the Sugar Mill, where The Crystal Method performed in the sweet, sweet air conditioning post-run show. Why get up early on a Saturday to get whacked with plastic bats?